just thought id put up a photo of my tank 6 months on from joining the forum and doing my cycle ... over time some people have seen my tank at early stages and thought it wasnt fair that you dont get to see it as i do now ..
you know what els thats funny ... i have a BTA , Elegance, Torch and Hammer corals and my clowns wont host in anything .. lol win some loose some ey .... also do you think it is looking too messy ? like i should move things around try reconfigure it ? I think it looks just fine. 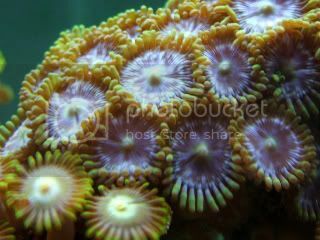 Fortunately, most of the corals you have are things easily moved if it becomes necessary. Great looking tank I agree with Pearson it looks perfectly fine the way it is. Maybe the clowns will come around. I think it looks nicely balanced. hey bud, good to see you back. looks a sh^t load better than last time we spoke anyways. I responded to your pico war machine Q.
Thnx guys apreciate the comments ; ) youve convinced me to leave it probably best ; ) .... and V why am i not surprised Lol you definately seem to be always doing projects ; ) but dont ever stop !! If it looks this good now, imagine what it will look like in three years! Woot! I like the "reef slope" look. Nice. I like the islands and open sand between them. 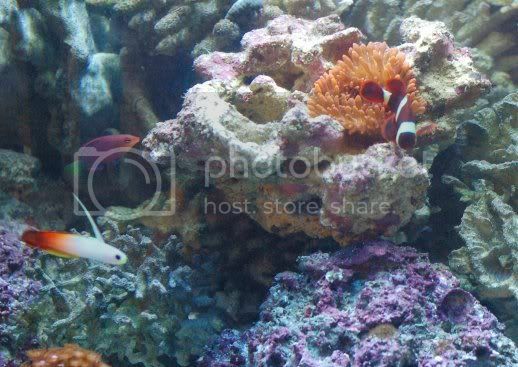 Have you tried Rob's trick for getting the Clowns to host in the Anemone? Get them to start feeding from a dropper and then squirt the dropper into the Anemone for a while... Probably worth a try. Very nice improvement, John. I like the canyon effect of the LR. Canyons are very common on the reef. Nice touch.